In a life devoted to education and BYU, George H. Brimhall left a lasting legacy. 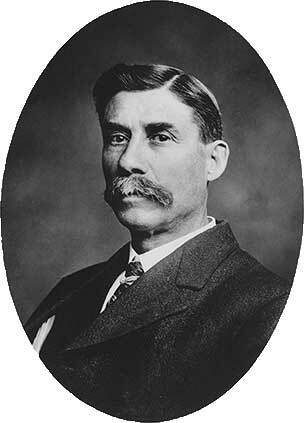 George H. Brimhall (1877) did not think he was up for the task when President Joseph F. Smith asked him to lead BYU shortly after the academy became a university in 1903. He told his colleagues, “The university needs a strong, young man at its head. I have neither health nor youth.” With chronic pain in his back, chest, and abdomen, he was plagued with ill health and often said the hymn “A Poor Wayfaring Man of Grief” was his remedy. Yet because the prophet’s invitation was for an acting president, Brimhall interpreted it as a temporary post and accepted. Following his April 16, 1904, inauguration, the 51-year-old educator took courage and began a tenure that extended more than 17 years. Fortunately, his health improved, and he credited God as he strenuously served the school. Brimhall, it turned out, was an excellent choice to be the university’s president. He had been among the first students at the academy, and his passion for education had helped him become an outstanding teacher and administrator. And he loved BYU. He served as its first Alumni Association president, and when the association was struggling to build the Maeser Building in 1909, he sacrificed substantially for the effort. Many teachers donated 10 to 15 percent of their salaries to the building, but Brimhall contributed half of his salary for the memorial to his mentor. BYU will honor Brimhall’s legacy of courageous service during Homecoming 2013 with festivities that will include opening ceremonies, student activities, dances, reunions, BYU Spectacular, races, a parade, and a football game against Georgia Tech. From his roots of childhood poverty, Brimhall had come to believe that education enriched one’s life. He was the oldest of 10 children in a Utah pioneer family that had scrambled to make a living. While farm work was an option, he craved learning; Brimhall often declared that the greatest turning point in his life came when his mother insisted that he go to school. He enrolled in BYA, using beef from his parents’ winter food supply for his tuition. He toiled as a school janitor and weekly walked nine miles from Provo to his home in Spanish Fork for chores. Benjamin Cluff Jr., Maeser’s successor, also encouraged Brimhall, hiring him onto the BYA faculty and twice turning over the professional reins to him: in 1893, when he left to pursue a master’s degree in Michigan, and in 1900, when he left on a scientific mission to South America. As the new president, Brimhall built on the legacies of Maeser, a distinguished teacher with a firm hold on spiritual principles, and of Cluff, who saw value in strong academic rigor. Brimhall’s thoughtful approach to educational structure was just one of his important contributions to the university. As someone who had affiliated with the academy and university from its beginnings, he well understood student and faculty concerns. He increased the size of the faculty and student body, supervised the construction of several buildings, expanded the library collection, and added land to upper campus, where the university now stands. He also organized the curriculum to make it possible to confer bachelor of science, bachelor of arts, and master’s degrees. Brimhall was probably best known for his weekly short addresses at student devotionals. These four-minute sermons, as they were called, provided practical guidance and specific instructions for school work. He took upon himself the role of academic advisor, personal counselor, and character builder. His frequent personal counseling, for example, persuaded many discouraged students to remain in school. 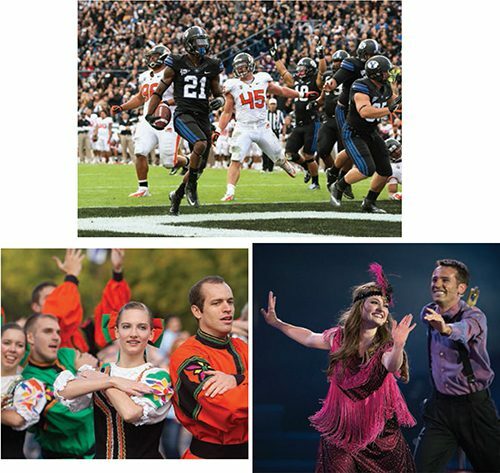 Web: For schedules and other information about Homecoming 2013, see homecoming.byu.edu.